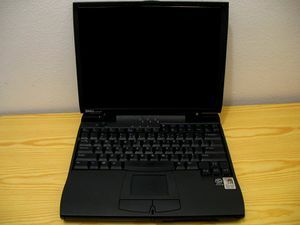 The Dell Latitude CPi A366XT is an older laptop with 440BX chipset. We're currently evaluating if it's possible to write coreboot support for it. The Super I/O also "contains" the embedded controller (EC), which is an 8051 derivate. Unfortunately you can not hot-swap a chip in this laptop, it'll immediately do a hard poweroff if you try it (the EC firmware, which is part of the flash chip, likely doesn't like you removing the chip). This page was last modified on 10 July 2009, at 23:28.